Abstract: Airwheel S3 2-wheeled electric scooter is really a stylish electric scooter with multiple functions. It has a wide platform to stand and one can listen to music through the build-in Bluetooth when gliding on the beach. I just got my Airwheel S3 and I am extremely pleased. I had been searching a self-balancing unicycle for a long time and a friend of mine told me about this brand. Airwheel really stood out for me. It's nearly half the price of other brands and most importantly it's lightweight. I watched some YouTube videos and read quite a few reviews of their products. So I took a chance and am glad I did. 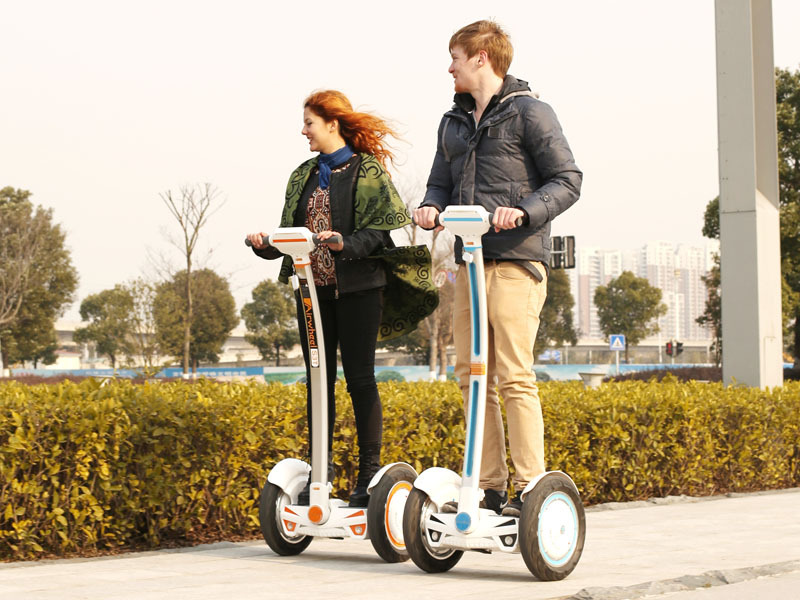 There are many features of Airwheel S3 self balance electric unicycle. You can control it remotely, it has Bluetooth speakers built in so you can jam while you glide. S3 is very easy to keep balanced because there is a wide standing platform and a long shaft that you can hold with. 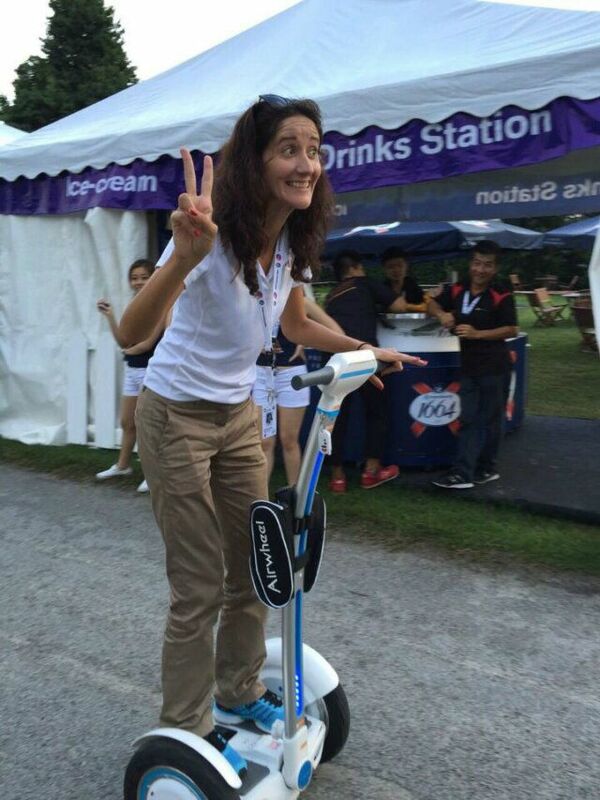 Unlike Airwheel unicycles, this model of electronic scooter requires minimum effort of learning. I almost mastered the driving instantly. What I like is the LED lights on the control shaft. They are bright at night which makes night riding safer and also grabs peoples'attention. The battery is easily replaceable. According to the manual, it's capable running at a speed of 16km/h and can cover an unrivalled range of 36-40 miles on a single battery charge. I have also noticed that Airwheel S3 2-wheeled electric scooter has a fully sealed circuit boards. So I don't have to worry about water leakage in rainy days or driving on muddy terrains. Love it! Having had this for almost a month now. The brochure is helpful and in fact was more tuned to a US audience than I expected. In several YouTube videos I have seen Bluetooth being used effortlessly. I looked my unit over and it does have speakers but I still have no clue on how to initiate a Bluetooth connection. Maybe I have to ask someone for help. I had a surgery two weeks ago, and Airwheel S3 has become my lifeline because it saves me much strength to go nearby. I told my doctor I had this and he said it was okay to use. I appreciate that it is much more compact and lighter than a Segway, it weighs 50-60 lbs and takes up minimal room in my trunk. The handlebar is very easy to remove/attach, making this the perfect machine to take to Venice Beach. I love the digital readout, giving you real time information on your riding such as distance traveled, battery life and time/distance left to ride. I was able to buy birthday gifts gliding down the beach. I have had Segway riders stop and ask about the unit, they really like the styling of Airwheel S3.